The faculty of Languages and Translation held a workshop on “Shooting and Directing Documentaries” for the faculty students on Tuesday 20/2/2018. The workshop was given by Mr. Abdullah Dawestashy, a director and photographer of documentaries in Bibliotheca Alexandrina. He was also a prize winner in Alexandria International Festival for Documentaries. 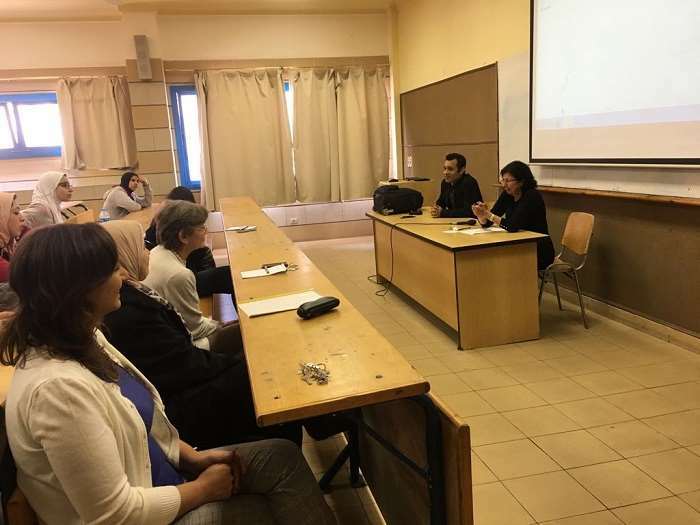 The seminar also included screening a documentary entitled as “Watch Alexandria Like Never Before” that was discussed by Prof. Sahar Hammouda. It was then announced a documentary film competition on Alexandria for all PUA students. Prof. Sahar Hammouda appointed a special committee of external examiners from Bibliotheca Alexandrina to be on the panel of the competition. – The film duration should not exceed 10 minutes. – The film should have ONLY one theme (tackling a phenomenon or a problem in Alexandria). – The participants can work in groups.